You know what really grinds my gears? When miniature desk sets sold on Amazon are so convincing they trick me into thinking they’re real desk sets for living human children. 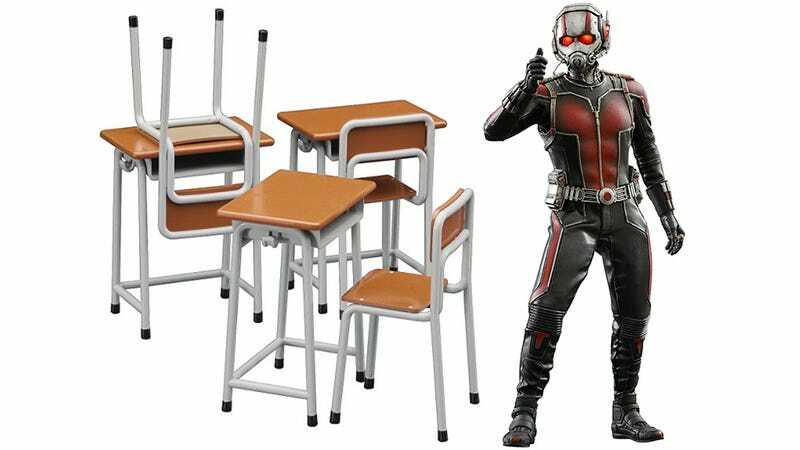 That, apparently, was the overwhelming reaction to the “HASEGAWA 62001 1/12 School Desk & Chair - figure accessories,” a $10 item sold on Amazon by Toy Shop Japan Hobbyone. The listing is full of reviews by angry customers who, despite the description, price, photo, and FAQs, which all make it very clear what is for sale, didn’t realize they were getting toy desks and chairs. As first pointed out on Twitter by @pcsegal, more than half the reviews gave the item one measly star, and the bulk of those reviews are some version of, “What is this, a center for ants?” While the possibility exists that some of them are just trolling, the complaints are spaced out over enough time that most are probably legitimate.